Readers would be pleased to know that we have teamed up with Packt Publishing to organize a giveaway of the new JIRA 6.x Administration Cookbook that we have reviewed recently (See Book Review: JIRA 6.x Administration Cookbook). Three lucky winners stand a chance to win a digital copy of this book each. All you need to do is head on over to the book page and look through the product description of the book and drop a line via the comments below this post to let us know what interests you the most about this book. It’s that simple. The first 3 valid respondents will get an e-copy of the Book. The contest will close on till 17th Sep 2014. Winners will be contacted by email, so be sure to use your real email address when you comment! I was excited to receive an invitation from Packt Publishing to do a book review on JIRA 6.x Administrator Cookbook. Being an Atlassian Expert, it can be scary to see such books coming into the market because the tricks of the trade are being wiki-leaked. However, it also means JIRA has matured and is getting increasing adoption. I think the tagline for the book “Quick answers to common problems” is quite apt. It contains a lot of recipes to questions that we encounter day-to-day. Some of the answers are similar to what we are doing for ourselves or have done for our customers. The book is well structured with clearly illustrated steps and notes to highlight salient points. The e-book also contains coloured screenshots that makes it easier to see the highlighted text. This book has a lot of practical recipes and is useful for those who want to administer their own JIRA instance. Last month, I shared a blogpost (How to enable active collaboration with your wiki) to share the benefits of using workflows together with wiki. Recently, Roberto from Comalatech, the creators of Adhoc Workflows plugin for Confluence has also contributed a guest post too. In his post, he shared how people can use workflows to streamline the process of publishing Frequently Asked Questions into a knowledge base. We wish you a Prosperous and Happy Chinese New Year. Atlassian Confluence was chosen by Elearning! Magazine to be the “Best Social Learning Tool“. As a side effect of collaboration within the enterprise, Confluence is a large knowledge-base that can be tapped upon to enable social learning and reuse of knowledge & experiences. The knowledge continues to grow and yet up-to-date because it is so easy to add and search knowledge in Confluence. Congratulations to Atlassian for this deserving awards. 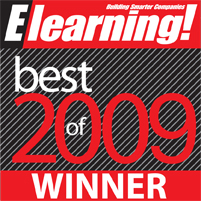 For more, please visit Elearning to read about Confluence and all the winners. The Enterprise 2.0 Executive Forum 2009 is ongoing at Sydney. And here are some of the good stuff to share around. Last week, I attended Sun Tech Days 2009 which made its round in Singapore. For the past few years, I always made it a point to attend this event as it allows me to have a glimpse of the latest technology development and the roadmap ahead. More importantly, it enables me to see whether they can be matched with any of the business needs. And I would know what and where to search for more details. One piece of good news is that Jira is bundled within Project Kenai as one of the issue trackers. Project Kenai is Sun’s initiative to provide a collaboration site for the open source community.